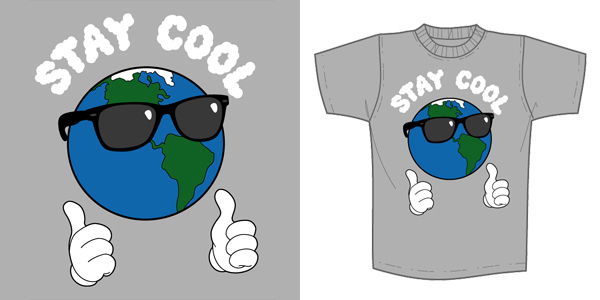 With the weather warming up, stay cool with our new Stay Cool T-Shirt. Sporting some stylish sunglasses, Earth approves with two thumbs up! Stay Cool is available this Thursday, April 5th at Noon Pacific at the Super7 Store. $25 each.